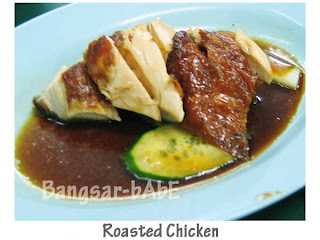 Verdict: If you like chicken rice, try this. Don’t forget the chili and ginger sauce! yup… the ginger + garlic sauce was a plus point on top of the crispy roasted chicken. I thought the chicken was ok only…but the sauce made it taste nice. Next round we eat their mango kerabu…it’s quite good. Spicy and tangy.